SILICON SLOPES, Utah – December 15, 2015 – Domo, provider of the world’s first business management platform, today announced that it has been named for the fourth consecutive year a Best Company to Work For by Utah Business magazine. 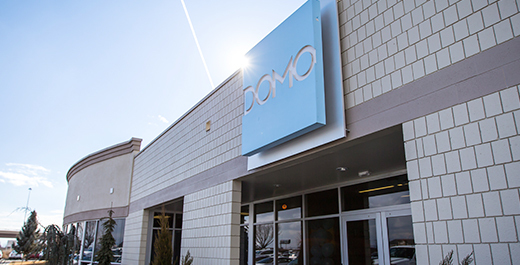 In being chosen as a Utah Business winning company, Domo went through a rigorous examination of workplace elements such as benefits and pay, fairness and opportunities, corporate culture, internal communication and employee pride. Much of this information was collected through an anonymous employee survey, which carried the most weight in the scoring system. In the awards ceremony, Utah Business highlighted Domo’s rich and innovative benefits, including its maternity and paternity program, company-provided meals and gym memberships, while also sharing employee feedback expressing how they highly value Domo’s opportunity and the caliber of fellow colleagues. The Utah Business Best Companies to Work For award adds to the numerous accolades Domo has received in 2015 for its technology, market potential and leadership. For a full list of honors, please visit: www.domo.com/company/accolades. For more information about Domo’s one-of-a-kind culture or to apply for a career at Domo, visit: http://bit.ly/DomoCareers. Domo is a cloud-based business management platform that transforms the way business is run. Domo gives CEOs and decision makers across the business the confidence to make faster, more effective decisions by giving them one place to easily access all the information they need.